PAWS OF WAR INC - Sponsor a dog in training! Sponsor a Paws of War dog in training! Rescuing, transporting, veterinary care and training just one dog costs over $5,000. Each dog comes to us from a shelter, or rescue around the country. All dogs are spayed/neutered, vaccinated, heartworm tested, micro chipped, and completely vetted. Service dog training is very costly. A minimum of one year and then continual maintenance for all our dogs and veterans. We have many dogs in training presently, and hope to get more into our organization so we can continue to help both ends of the leash! 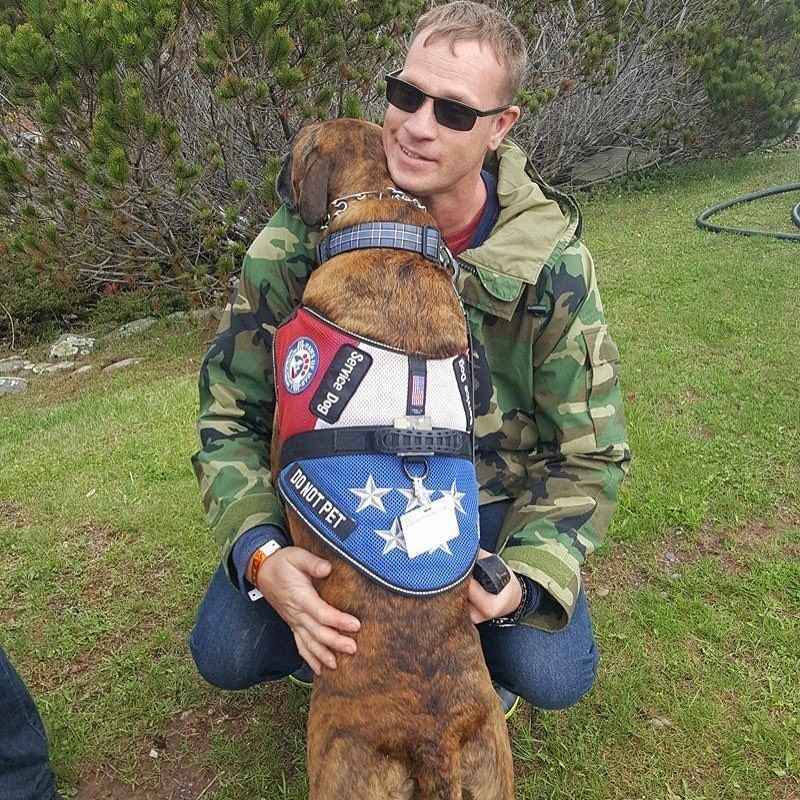 Your monthly sponsorship of as little as $25 can truly make a difference for a veteran and a dog in need! We will send you an acknowledgment and a picture of a dog with his/her veteran you sponsor. Together, we can help a vet and save a pet! I heard about Paws for War on the radio and I knew I wanted to support this program! Thank you for connecting wonderful animals with wonderful humans! My wife and I donate to a worthy cause instead of buy each other gifts at Christmas time. We honor our soldiers and also are rescue dog lovers. I think this is such a great organization. I love our military and I love animals.